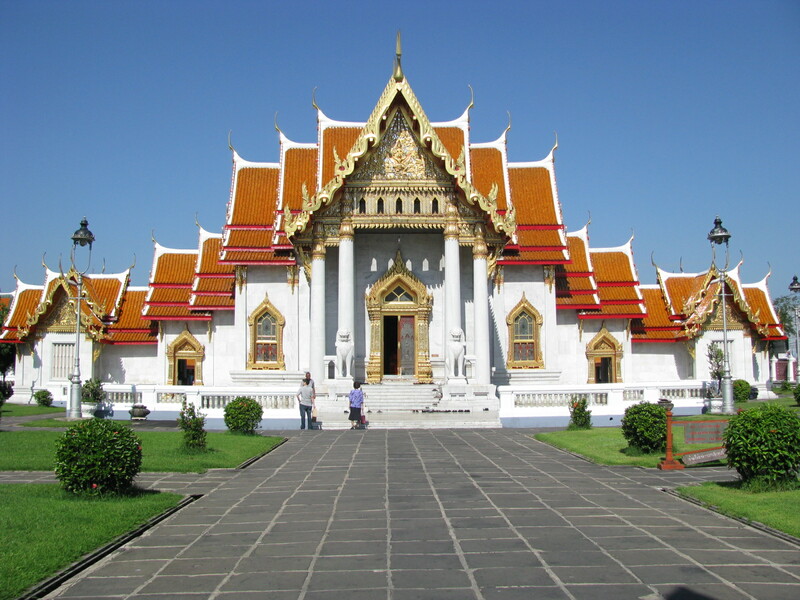 Admire the white marble walls and columns, high decorative gables, and red-stepped roofs of Wat Benchamabophit (The Marble Temple), a Buddhist temple representative of Bankok's ornate style and renowned for its beauty. Experience monks praying and chanting, wander through a cloister lined with 52 images of Buddha, and enjoy some quite reflection in the tranquil gardens, through which a small canal runs. Built in 1899 at the request of King Chulalongkorn, the name translates as "the temple of the fifth King" located nearby Dusit Palace. 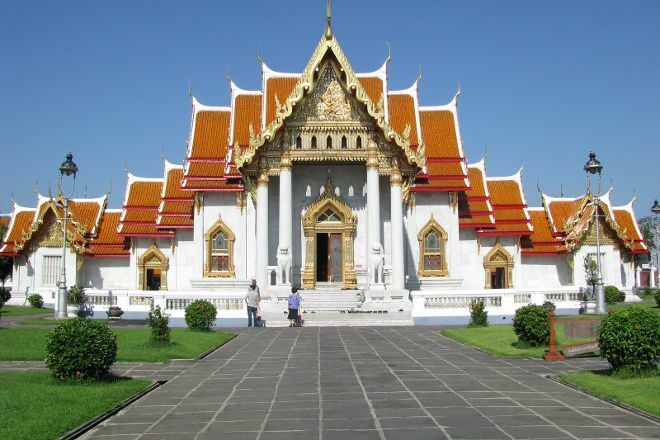 Plan a trip to Bangkok easily and quickly by telling Inspirock to suggest an itinerary. A little away from places frequented by tourists. But teuk teuk driver gave me the surprise... and I have not regretted! It's very nice temple with attractive structure built by marble which brought from Italy. It's good time to visit before 8am in the morning and between 4 to 5pm in the evening. There is no special parking lot for two wheelers. There is parking space for 4 wheelers in front of the temple at entrance. Two wheelers can be parked nearby to this parking space.